​The Philadelphia 76ers are feeling themselves following the acquisitions of ​Tobias Harris and Boban Marjanovic at the trade deadline. So were the Los Angeles Lakers after defeating the Boston Celtics at the buzzer on Thursday night. However, it was the 76ers who kept that good feeling going, as they blew out the Lakers on Sunday by a score of 143-120. As all NBA fans know, Joel Embiid has a knack for trolling the opposition. Well, his team's official Twitter account followed suit. This past week, microphones picked up on LeBron James imposing words of wisdom on his young teammates: "Anytime y'all fall, stay down. Your brother will come pick you up." It didn't take too long for someone else to use that statement to troll James and his Lakers teammates. Throw in the damn towel! 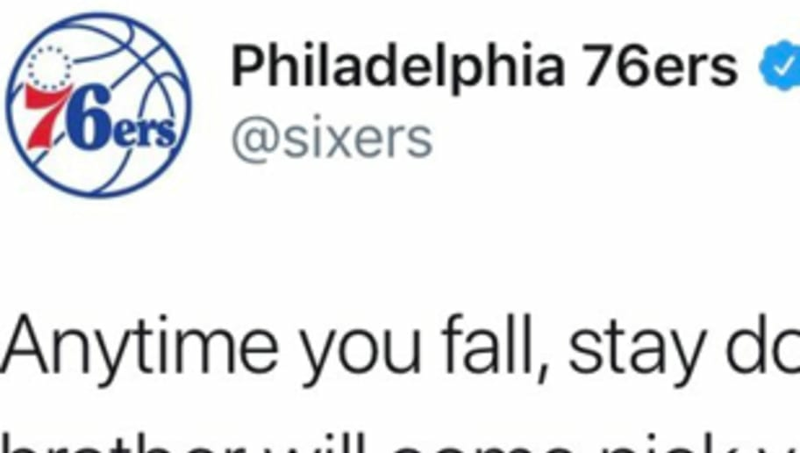 That's straight up savage from the 76ers.